Sweet looking card. My card shop has a Daryl Strawberry card like this #ed/50. May pull the trigger on that one if it is still available next week. Nice pick up! 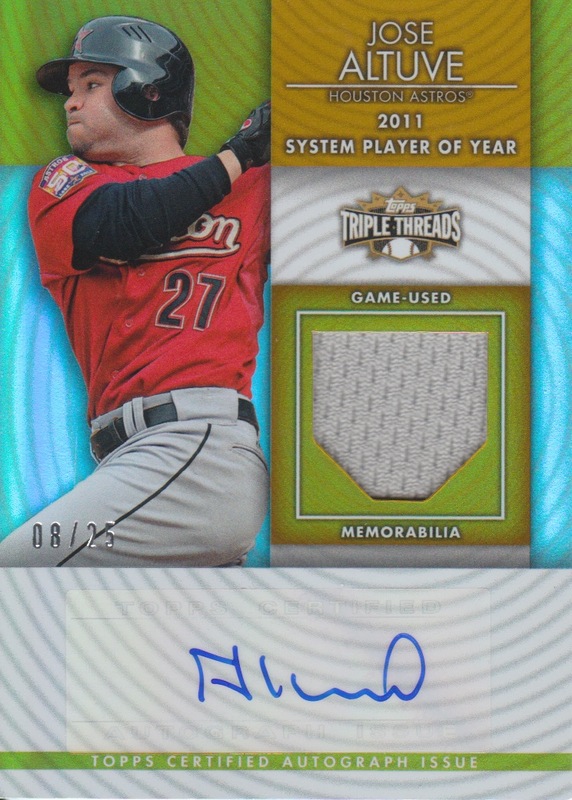 Can't beat that price for Triple Threads jersey/auto. Altuve is one of my favorite non-Dodgers. The kid is a stud.